So I had this lovely brick of paneer cheese. I had to make dinner. 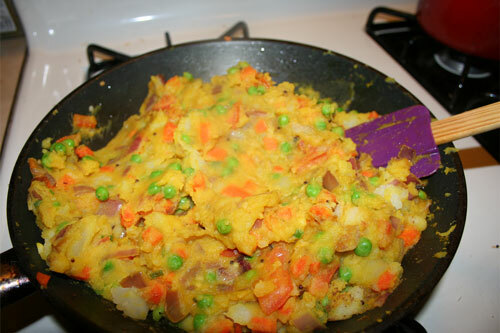 I would go back to my first curry and make some mutter paneer, but I was out of peas. I did have some spinach sitting in the freezer though. 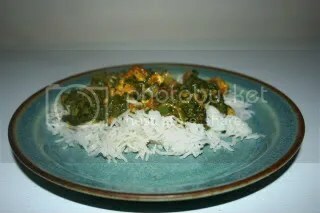 I decided to make some palak paneer. 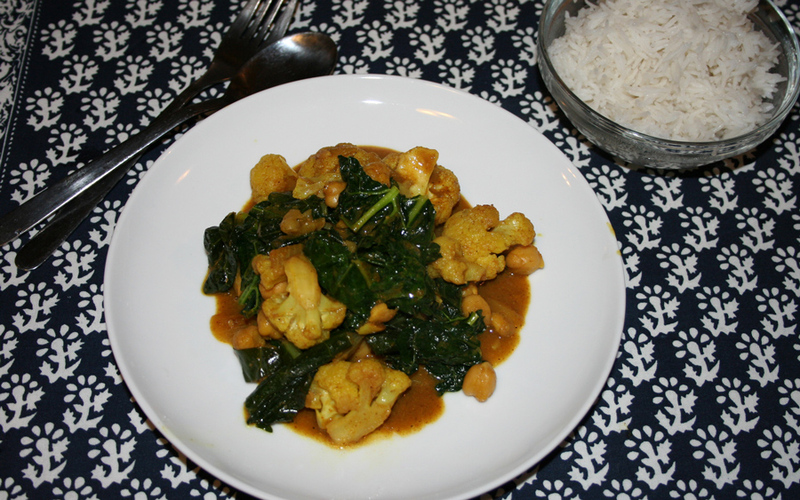 J loves spinach curries, as do I. I knew that this wouldn’t sit well with one kid, but the younger child would be happy with this. You can’t please everyone. Clean the spinach well. Steam the spinach in a pot and squeeze out the liquid. In a large saute pan, heat the vegetable oil and the butter or ghee. Saute the onion, garlic, and ginger. Cook until soft. Mash up the mixture a little. Add the spices to the mixture. Add the paneer. Let the paneer cook a bit. Paneer doesn’t melt – so no worries. Add the spinach. Mix up well. Add the chili powder and the salt to taste. Add a bit of veggie broth if the gravy is too thick. The hubster did the Trader Joe’s shopping this weekend, and excitedly brought home a package of ground turkey. I’m not usually a fan of turkey, so I kind of shoved it to the back of the fridge. Today was the day. Had to use it or freeze it. Burgers sounded good for today. I’ve been on a curry kick and these burgers hit the spot. I served these with some curried sauteed onions and mushrooms and broccoli on the side, but they would be excellent with a side of baked sweet potato fries. 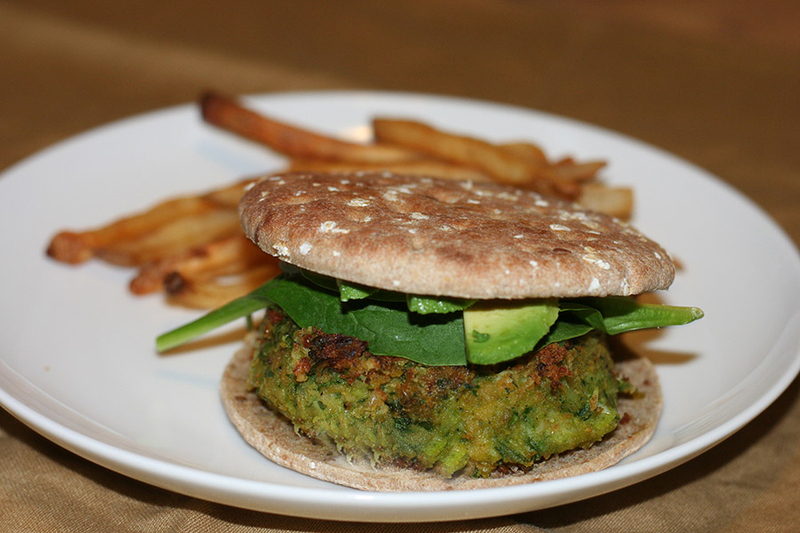 Form into patties. This recipe mkde me around 8 small burgers. Fry the burgers on medium-high for a few minutes on each side. Transfer to a 425 degree oven to finish cooking, around 15 minutes. Everything tastes good as a curry. Almost everything. On any given night, I know that if I can’t figure out a thing to make – I can always put together a curry. Just a few veggies, some ginger, garlic, and spices – is all it takes. Curries are very forgiving and adaptable. It doesn’t have to be too complicated. Cook it all up and throw over some yummy basmati rice and you’re good to go. It’s that easy. Tonight’s dinner was mushroom and tofu curry over basmati rice. Yum! In a large saute pan or wok, heat the pan on medium-high. Add 1 teaspoon of the oil and toast the mustard and cumin seeds for 3o seconds. Add in the other teaspoon of oil and add the onions, garlic, ginger, and chili pepper. Saute for a few ,more minutes, until the onions are soft. Add in the spices. Add in the tofu and mushrooms. Sautee for about 5-7 minutes, until the mushrooms are cooked through. Add in the tomatoes and spinach. Add in the broth. Taste and see if it needs anything. Here is where I will add more chili powder or extra spices and salt. Toss in the cashews and stir. Serve over some steamed Basmati rice. Enjoy! 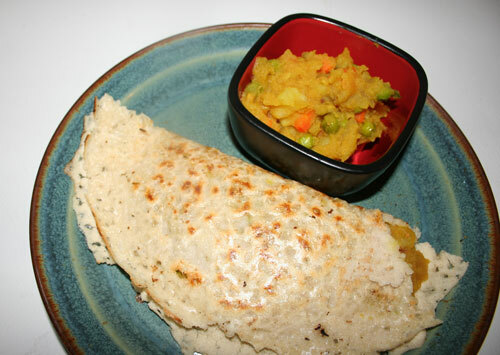 Rava Dosa with Masala – Do you Dosa? If I were to be reborn in to some new life, I hope it could be in to an Indian family. I would love to grow up with the flavors and colors of Indian cooking. 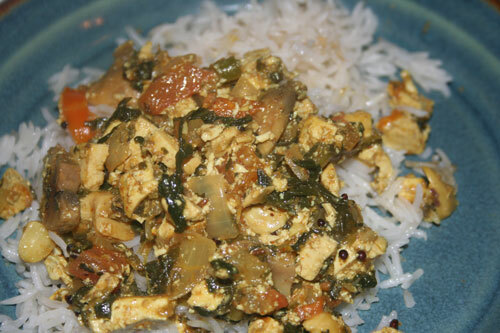 My adventures into Indian flavor and cooking began when I was in college and was living in a largely Indian neighborhood. Peeking into Madras Mahal on Lexington, the first dish I ordered was Mutter Panner. A curry with peas and cheese. The flavors popped in my mouth, and I needed to explore more. Running into Kalustyans and into the India Bazaar store, I explored the various flavors. Once I had a kitchen of my own, I was free to explore more. The one thing I never ventured into, was the world of dosa making. I have tasted my fair share, but it was never my highlight of an Indian meal. I didn’t have the equipment, and it seemed like too much work to try to make them. This morning, in speaking with the hubster, I asked him what I should make. To which he replied, “a masala dosa, of course.” Of course that’s what he wanted. The one thing I was really not ready to make. I had plans to spice shop in Jersey City’s Indian markets today…so there was no excuse. We could easily have the ingredients here and ready. While at Patel market, I found a Tawa right by the checkout. I guess it was fate. With the ingredients and spices in hand, I set out to make dinner. The potato mixture was easy and came out perfect. Not so much with the dosas. The first three were tossed. The fourth was somewhat edible. The fifth was getting there. By the sixth, I finally got it! I had also had enough playing with dosa making for the night and the Oscars were about to start, so we called it a night and chowed down. I am glad I now know how to make the dosa though. Next time, I will be an expert. Here’s my fancy shmancy new Tawa! In a large saute pan, heat the oil oil on high heat. Add the mustard seeds and cumin seeds. Toast for less than a minute. Add the onions and chili pepper. Saute for a minute or two. Add the carrots, tomato, and the peas. Add the spices. Add the water and cook for a few minutes. Cook until the carrots have softened and the water has evaporated a bit. Stir in the potatoes. Mix in the chopped curry leaves and cilantro. Set the potato mixture aside or gobble it up. It tastes great on its own. It may need a little bit of salt, but taste it and see. Mix the flours. Add the salt and water to it. Toast the spices in 1 tsp. of oil. Transfer the spices to the flour mixture. Let the batter sit for about 30 minutes. Stir the batter. It shouldn’t be too thick. More of a thick milk consisteny. Heat the pan on high. With a paper towel, wipe oil on the pan. Do not pour. With a ladle, spread the batter on the pan. Moving from the outside in. 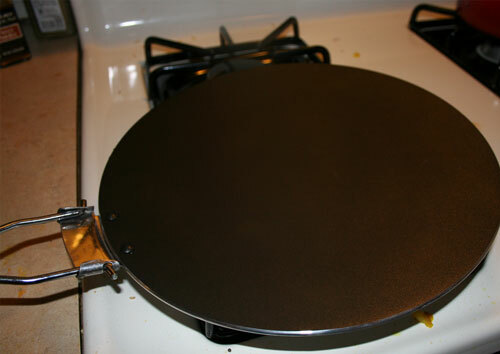 The batter should be very very thin on the pan.This does take practice. After a couple minutes, sprinkle a dab of oil and some butter on to the dosa. When it starts to brown, fold it over. Serve the dosa with the masala mixture or with the traditional sambar. Enjoy! Please note: Your first few dosas may need to be tossed. Your first few dosas will not look like the giant beautiful cornucopias you can get at the local Indian restaurant. That’s totally ok. Have fun with it. Lunchtime at work can be rough. The combined smells of a hundred or so employees heating up and eating their home cooked meals can be rough. I do have one colleague who tends to have nice smelly lunches. So my dinner idea was stolen from her lunchbox. After a long week of Passover with no rice, I was craving basmati. What better to go alongside, then a curry? Chana Saag Aloo is a very simple and cheap dish made up of ingredients that I usually have on hand in my pantry and freezer. Extra bonus is that there was plenty left over for lunches the next day. There are many recipes for this dish; this recipe is based on what I had on hand. Cook some basmati rice as instructed on the package. The rice cooker works wonders. Start by sautéing the garlic, onion, and ginger in some olive oil. Sauté. for 5 minutes. Add in your spices and the diced potatoes. Cook for 5 minutes. As that starts to soften, add your chickpeas. After 5 minutes, add the rest of the ingredients, stir and simmer on low until ready to eat. Serve over the yummy rice. Enjoy! 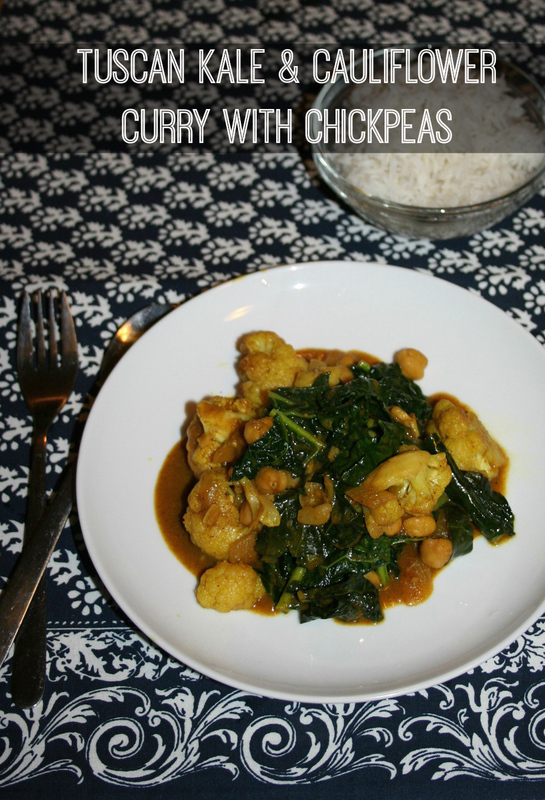 About the picture…curries don’t always look pretty and appetizing. They just don’t. They are really yummy though…so please partake in this adventure.